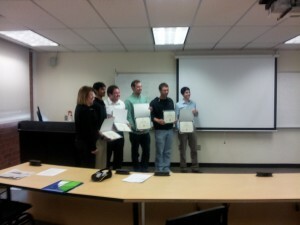 SDS attends the ASME competitions, in two categories, Poster and Oral Presentation. 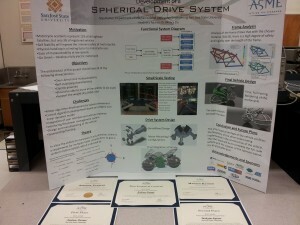 This competition is a chance to acknowledge our sponsors, for all of their contributions in making the Spherical Drive System a reality. 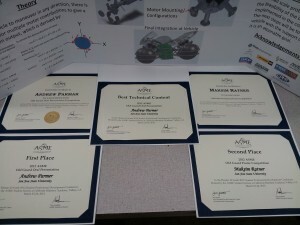 The determination of the team members to adequately represent the Team and our sponsors landed SDS in first place on the Oral Presentation, with an extra award for best technical content, and second place in the poster competition.